AirPrint is Apple’s wireless printing service. 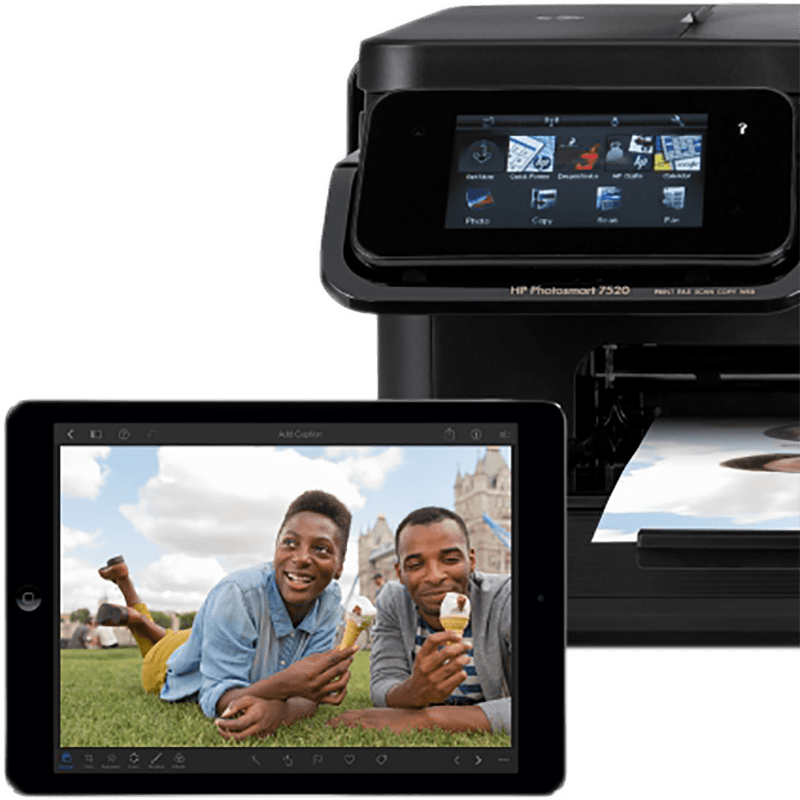 With it, you can send what you want to print from your iPad or iPhone to any compatible printer on the Wi-Fi network. AirPrint is a system-wide service built-in Apple apps like Mail, Safari, Photos, and iBooks, as well as or App Store apps like Numbers, Pages, and Keynotes, and many, many more. To use AirPrint simply tap the Share button, tap AirPrint, and then select your AirPrint printer, choose how many copies you want, and hit print. It's just that easy. Debating between the Polaroid Mint or Polaroid Zip photo printers? We think the Zip is the better option, and here's why! There are dozens of great printers on the market today. We're here to help you find the best of the best. Need to print something? Use your iPhone! Printers are a reliable way of obtaining a physical copy of documents. Even if you're mostly using your iPhone or iPad for everyday computing, AirPrint capable printers will keep you printing with no problems. Here are some of our favorites! Now that Apple has made one of the best smartphone cameras in existence, it's time to print out your masterpiece. Got a great deal on an HP printer but it’s not recognized in macOS? Try this! Want to make lasting physical copies of your favorite photos and images? These online services are the best around! Need to print something but have no network? Here’s a solution! If you're having problems printing from your Mac, this hidden tool will likely solve your problem. This is a popular printer with a lot of great functions, and this price is about $30 off the street price. You've no need to muck about with printer drivers and software if you've got an Apple device and a printer that supports AirPrint (chances are you do) — with AirPrint you can connect to and print from your printer so long as both devices are connected to the same Wi-Fi network. Instantly print out the iPhonography snapshots you’re the most proud of with these phone photography printers! Thanks to new Instagram integration, the Epson Creative Print app can now bring your selfies to life with printed collages. If your printer doesn't support AirPrint, you won't be able to use it from your iOS devices. But that doesn't mean you have to buy a new printer. The Mac, paired with a clever app called Printopia, can serve as a bridge between your iPad or iPhone and the printer.